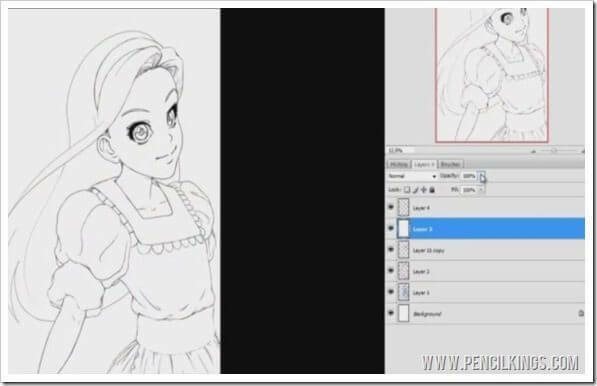 In the previous series, you saw how Sycra Yasin developed his drawing of Alice, starting off with some rough sketches and then deciding on composition and pose before moving on to create his line art drawing of Alice, from the ever popular Lewis Carroll novel, Alice’s Adventures in Wonderland. 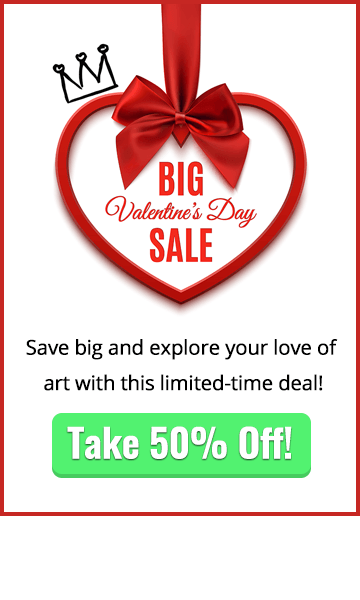 Now, you’re going to learn the techniques and tips that will help you develop your own line art drawing into a fully-rendered digital painting. 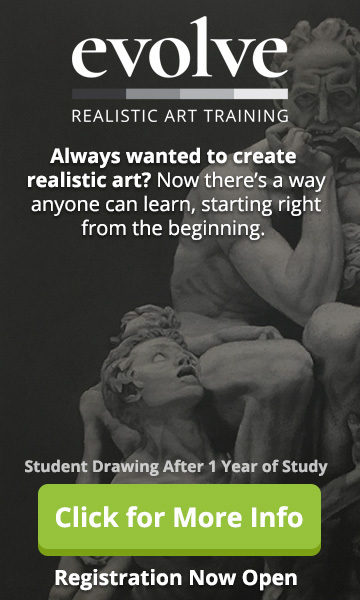 The skills you’ll pick up along the way will help you in every aspect of your artistic career and will give your illustrations a real edge. So, get those graphics tablets at the ready, because we’re about to enter into the fascinating world of applying color and learning how you can create awesome effects in your work. Before you start applying color to your digital painting, it’s worth taking some time to make sure your layers are neatly organized – believe us, things can get mighty confusing if you don’t! 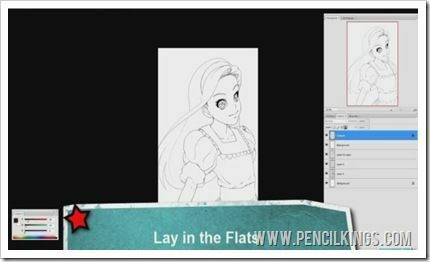 So, to start off with, adjust the opacity of your background layer to 100 per cent – this will give you a clean white slate to work on. 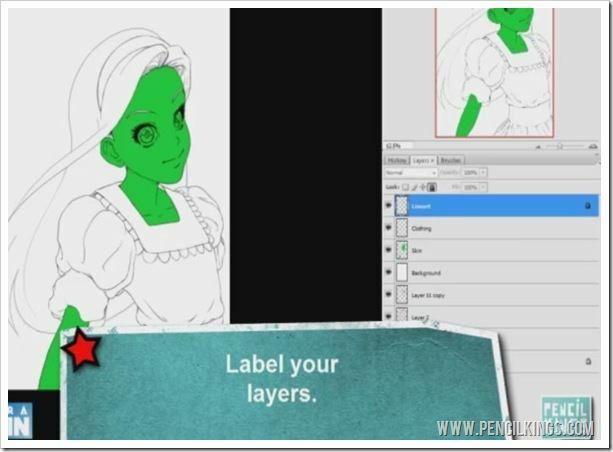 Next, start labeling your layers by double-clicking on the layer’s name and changing it to something more recognizable, such as ‘background’ and ‘line art’. Once you’ve named your line art layer, it’s a very good idea to click the padlock image to lock it. Then, if you accidentally end up on this layer (and, believe us, we’ve all been there), you won’t be able to undo any of the good work you’ve spent hours on before. Neat! Once you’ve named and organized your layers and locked the line art, you can start laying in the flats. These are flat areas of color that don’t have any shading or rendering on them and we use these to give you a good basis for your digital comic painting and to cover large areas of white space quickly and easily. We’re going to start by laying in a flat area of color for the skin. To do this, create a new layer between the background and line art layers and label this ‘skin’. Now, you might think we’d be choosing a pinkish hue for the skin layer, but no, instead we’re going to go green! Why? 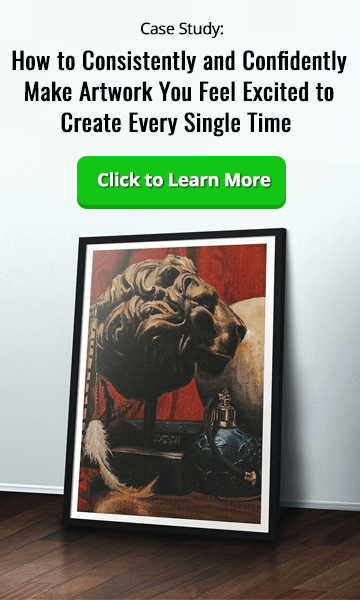 Because this vivid color will show up really well against the white background layer of your digital painting and will help you check that all the areas have been filled in properly. 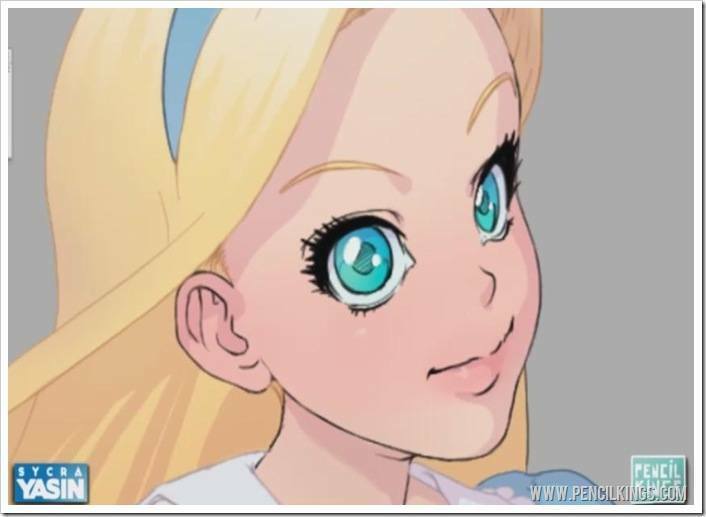 So, don’t worry if your illustration is starting to look like The Incredible Hulk – it’ll all make sense once you start work on the other aspects of your fully-rendered digital painting of Alice. 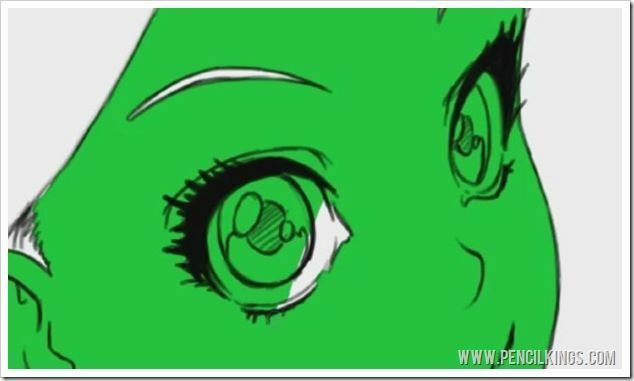 Having selected a vibrant green (or any other bold color you feel shows up well against the background layer) it’s time to get started with the Magic Wand tool in Photoshop and see how this can work wonders when filling in large areas of white space in your digital painting. So, go to your line art layer, select the Magic Wand tool, and then make sure its tolerance is set to zero – you can find this in the menu bar at the top. Next, click on the area of your image you want to start to start work on and you’ll see that a large area is now selected. Because the line art layer is locked, you won’t be able to lay in the flats here. You’ll also notice there are some gaps between the selected area and the neat edges of your line art as in this example. Don’t sweat it! We can fix this easily by going to Select>Modify>Expand and then adjusting the Expand Selection value to six pixels – this will fill in most of the white areas, but you’ll still find you have a little cleaning up to do. To do this, select your Pencil tool, make sure the opacity is set to 100 per cent and then just color in those areas the Magic Wand tool may have missed. Using the pencil tool gives you a nice, clean result and because there’s no pen pressure to worry about, you can be sure of a consistent fill every time. By the time you’ve finished, you should end up with an area (in this case, Alice’s face) which is completely filled in with solid, flat color. Repeat this process for the other areas of skin in your digital painting. 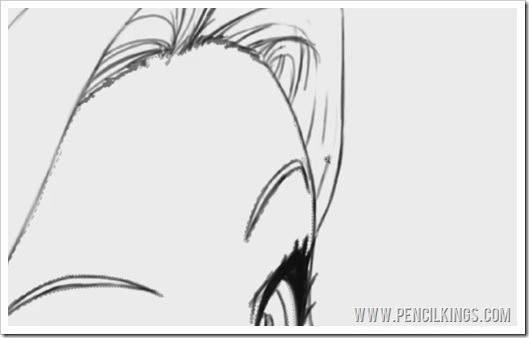 Go back to your line art layer, select the Magic Wand tool, expand the selection to six pixels and clean up any areas missed by this process using your Pencil tool. You should eventually end up with a Hulk-like Alice – just remember not to make her angry! Now you’ve layed in the flats on your skin layer, you can repeat the same process for the other layers of your digital painting, such as the hair band and the clothing. Remember to name to your layers as you work to avoid any confusion, and then simply select the areas you wish to fill using the Magic Wand tool then expanding this selection by six pixels. 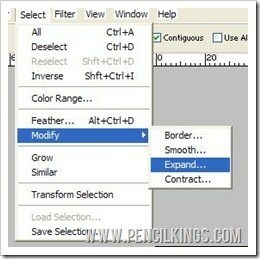 You can select several areas at once by holding down the Shift key as you click. Choose another bold, flat color for the clothing – in this case, Sycra’s opted for a vivid pink. Remember, we’ll be changing these crazy colors later to something more suitable – for now, we’re just using them because they show up well against the white background. Sometimes, you might find that the Magic Wand tool doesn’t pick up the areas you want it to – if this happens, simply hit Ctrl + Z to undo your last move and then try again. 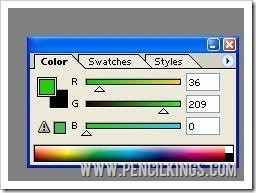 Keep using your Pencil tool to clean up any areas that are still white. 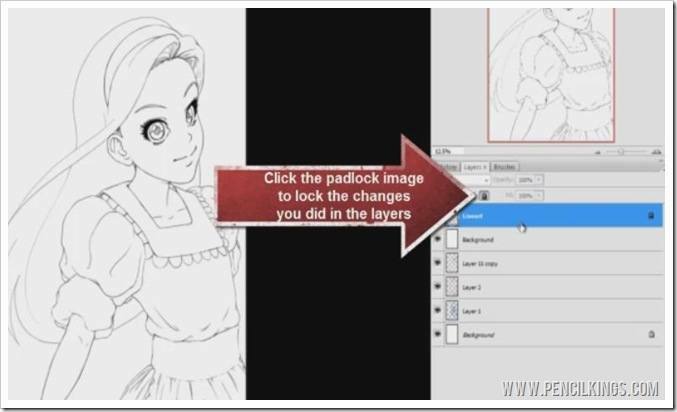 Once you’ve done all this, you’ll be ready to move on to the next exciting part, where master colorist Sycra will show you how to color in the hair, apron and eyes in preparation for work on your finished, fully-rendered digital painting of Alice.